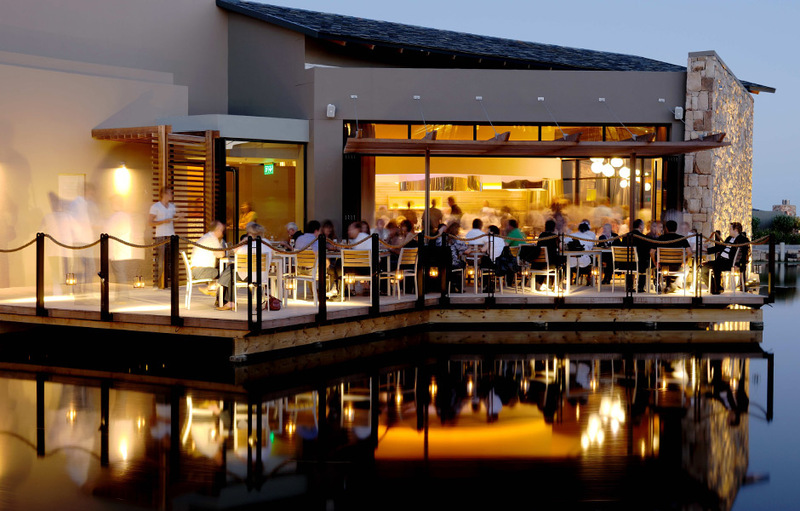 Oubaai Hotel Golf and Spa is located on South Africa’s gorgeous Garden Route. The area is known for its pristine beaches, indigenous forests and nature reserves. 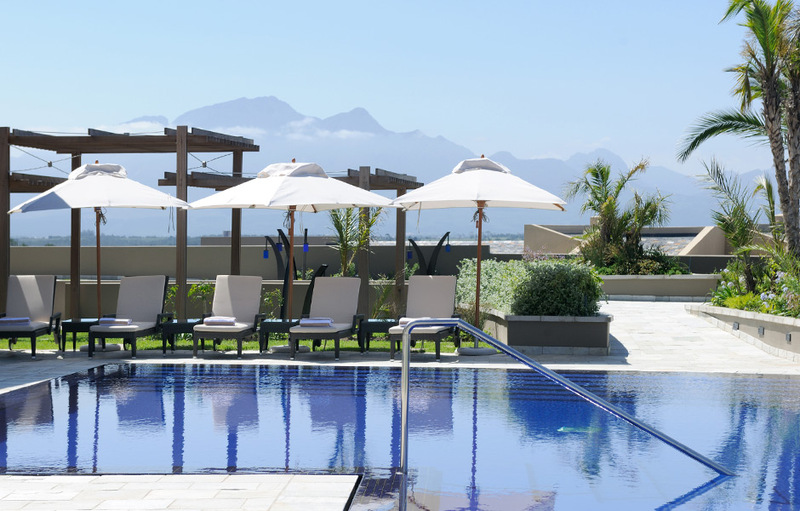 Nestled between the shimmering Indian Ocean and the majestic Outeniqua Mountains in Herold’s Bay the Oubaai Hotel Golf and Spa offers visitors a superb and entertaining vacation. 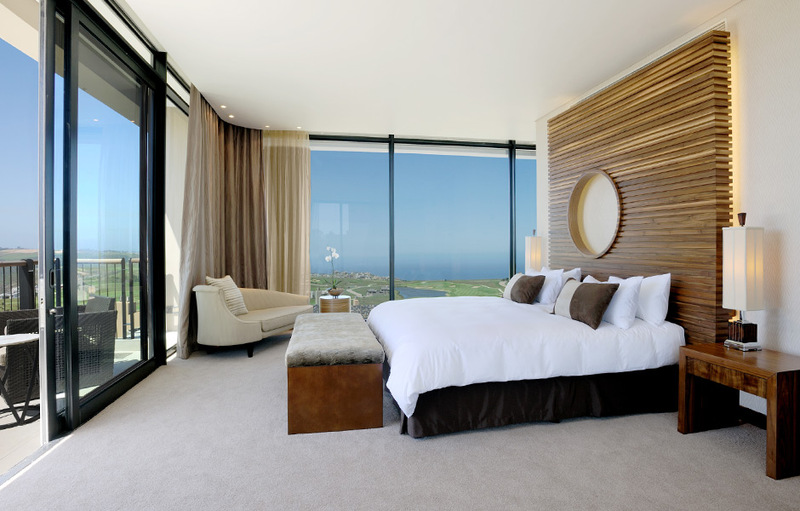 The most striking feature of the Oubaai Hotel Golf and Spa is the enormous picture windows with uninterrupted views all the way to the Ocean. The architecture conjures up the nearby sheer sea cliffs and sweeping sand dunes. 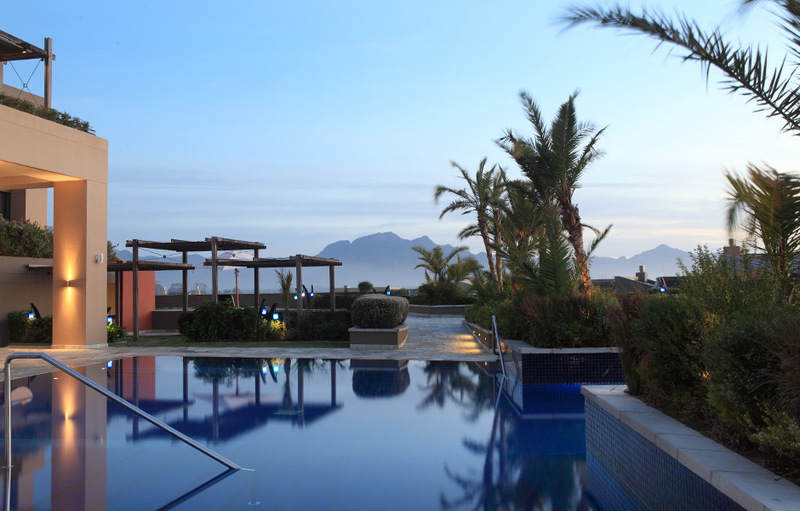 The natural desert / dune tones of the hotel blend beautifully into the surrounding landscape. The resort has much to offer discerning visitors. The Ernie Els designed championship Oubaai Golf Course plays out against the backdrop of the majestic Outeniqua Mountains and winds its way along the Indian Ocean coastline, a lush emerald in the Garden Route crown. The resort’s Freesia Spa is an exquisite retreat, where harmony and balance are restored through a combination of traditional African remedies and unique European treatments each containing natural ingredients to encourage positive health and everlasting youth. There are seven treatment suites including one couple’s suite. Each suite features a steam room, shower and dressing area, creating the most private of sanctuaries for their guests. Guests can also relax in the tranquillity lounge and pool. Enjoy a variety of Mediterranean cuisine as the elegant Cucina Restaurant which serves breakfast, lunch and supper daily. Enjoy the views from the floor-to-ceiling windows or take your dinner outside. The Waterside Grill in the resorts village is open for dinner only. 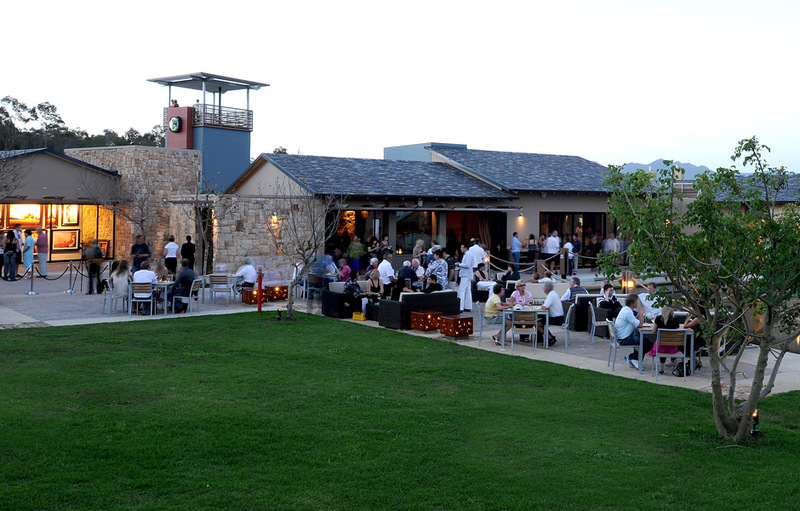 It has a large outdoor seating area, interactive show kitchen and a raw bar. Visit The Clubhouse for light snacks, salads and delicious pizzas. 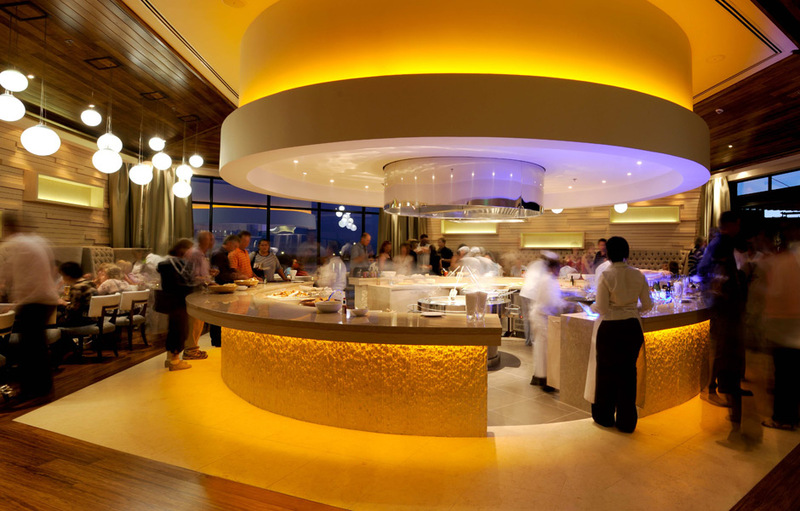 With 180 degree views of the Indian Ocean, the restaurant provides the perfect relaxed and casual atmosphere for meals. You can’t escape the gorgeous views at Oubaai Hotel Golf and Spa. While the classic natural tones used in the guest rooms have a soothing, calming effect, the scenes outside invigorate the soul and draw you out into the fresh sea-side air. Each of the hotel’s 100 spacious rooms and suites are luxuriously furnished and equipped with all the modern amenities including internet access. The en-suite bathrooms are enormous with glass panelled showers and separate baths. For the discerning traveller the hotel boats luxurious Presidential Suite, two Executive Suites and six Junior Suites.